Did you know our all of our residential films block 99% of all UVA and UVB rays, the bit of sunlight responsible for fading your furniture. No matter what shade or style of film you choose for your installation, rest assured that even our clearest film will give your home full UV protections day in and day out, keeping that Italian leather sofa and that elegant hardwood floor looking their best. Adding extra style to your widows can be just as important as the furniture in your home. When you control your windows, you control the day-lighting in your home. Our films can give you that subtle difference indoors that will make your home feel like you hired an interior designer. Our glare reduction films will also make watching TV or look at a computer screen easier, without the need of using expensive curtains or blinds. If you already have curtains, our films will protect them from sun damage whenever you use them. How many things that you buy cost you nothing to maintain? 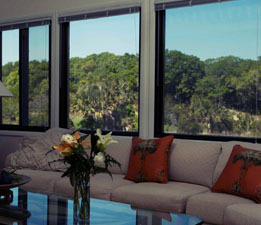 Our window film not only has zero upkeep costs, it will save you money every minute of everyday. 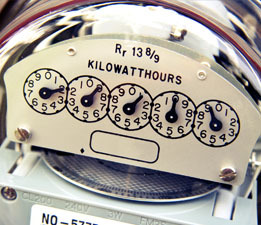 With an average annual savings of 30% on your energy bill, we are proud to offer one of the few services that in this day and age will pay for itself in time. If you look at it from a long term perspective, it's just a matter of money management. That money is either going into your energy bill, or into window tinting; the choice is up to you. Add style and value to your home, while reducing glare indoors. 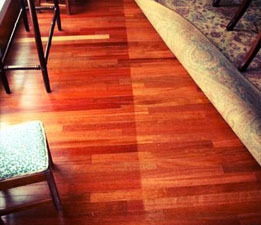 No more damage to your floors or furniture from the sun, keep everything looking brand new and retaining it's value. A simple window tinting installation can lower your energy bill by an average of 30% annualy, in the long run our work will pay for itself. Cut the heat. Even our most "invisible" shade of film will cut your interior heat by 30%. "Windows account for 28% of your energy load" - US department of energy. Check out the top of our main page for the latest discounts on all our most popular window tinting services. DISCLAIMER: Professional Window Tinting in not responsible for tickets or infractions caused by our window tinting services. Know the laws of your state, not all window tinting and tail light tinting is approved for ON HIGHWAY USE. All services are given as is unless otherwise stated. All refunds and warranties are at all time subject to the approval of the manger in charge at the time of the vehicle's installation. We reserve the right to refuse service to anyone.